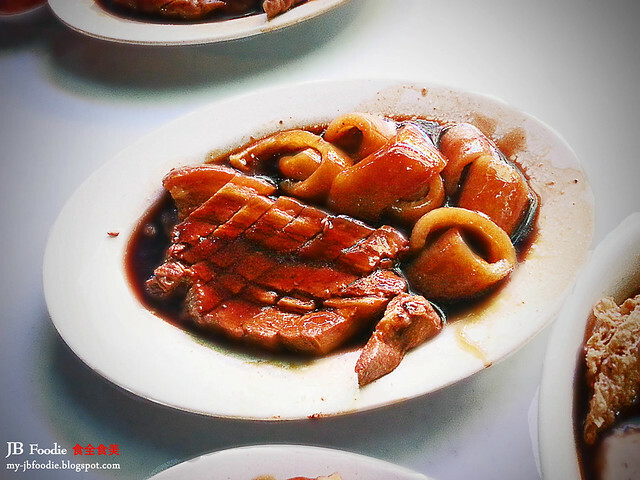 After a long hiatus from blogging and providing the latest food eateries to spring up all over Johor Bahru, I have finally made a comeback again. Not sure if its a welcomed move but I just felt something has to be done to keep this blog alive, rather than leaving it to rot after abandoning it for more than 6 months. Yesterday, I went to check out a new Kuey Tiao Kia (short form KTK aka 淉条仔) stall at Taman Gaya. This is a delicacy that is not available elsewhere, and even unheard of in other parts of Malaysia and that's why one MUST make it a point to drop by and visit a KTK stall when setting foot in Johor Bahru. 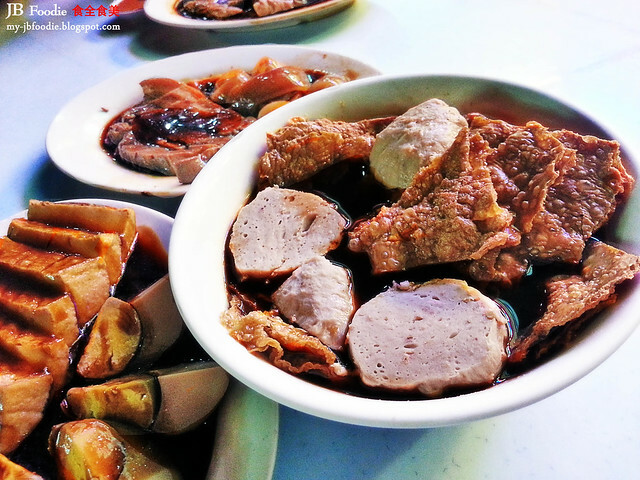 KTK consists mainly of braised meat, innards, eggs, tau kee, beancurd etc coupled with a bowl of hot steaming kuey tiao soup. The chilli paste is of utmost importance too, just like how sambal is to nasi lemak. They play a complimentary role to each other. 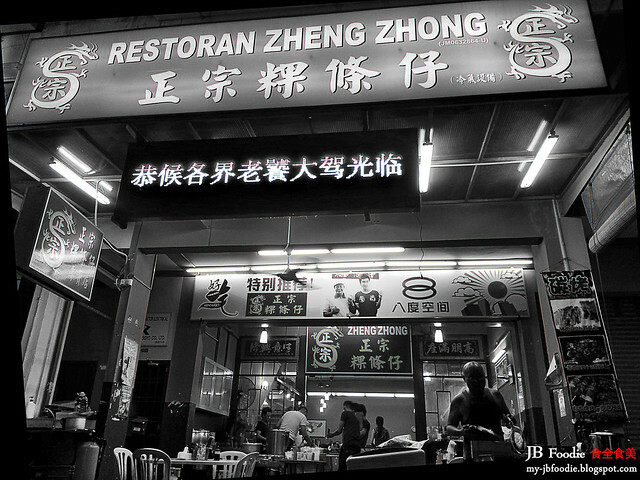 Let's start off with the facade of the Restoran Zheng Zhong, nothing fanciful and just another shop you will easily pass by without giving it a 2nd glance (except for the signage highlighting it had starred in a popular local foodie program - Ho Chak). Check out the bowl of deep-fried tau kees and meat balls soaked in the herbal soup. Patience is a virtue in this case, waiting for the crispy tau kees to get that texture (50% crisp - 50% soggy) before dipping it in the chilli sauce. Woooooooo UMAMI ! 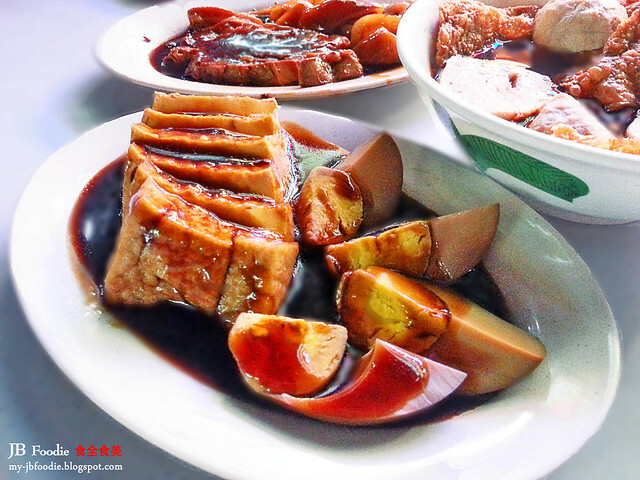 Braised egg and beancurd. Nothing special about the egg but the toufu is worth mentioning with its silky smooth texture. If you fancy a savory sauce of a thick consistency, then this is for you. Remember to drench the toufu or eggs with a good portion of the gravy. Don't forget to order the braised pork and collagenous pork cheek skin too ! That's all I need for a simple, hearty meal. 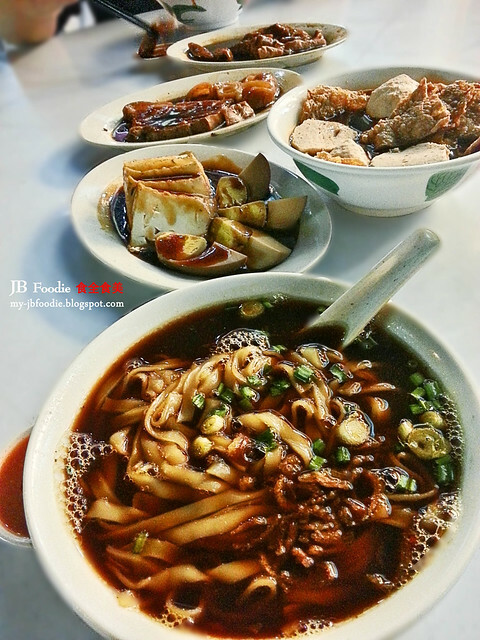 Plates of braised side dishes with a bowl of hot herbal kuey tiao soup, on a windy night ... S H I O K ! Conclusion: An inexpensive KTK outlet with a wide, delectable selections of braised products, garner a spot within my heart. Could anyone please provide the GPS coordinates here? Thanks a lot.